Sequel to Bram Stoker's horror classic Dracula. From awarding winning writer Steven Philip Jones (Sherlock Holmes, H.P. Lovecraft's Worlds) and illustrator John Lowe (DC's Aquaman, Batman, Green Lantern). 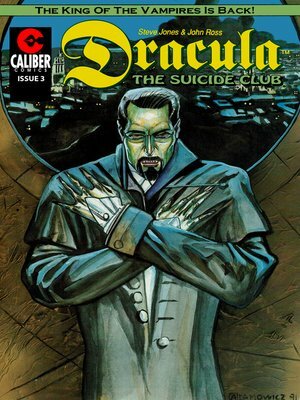 THIS ISSUE: Scotland Yard Detective Champion Harrison and the lovely clairvoyant Dion Fortune must rescue their friend Sir John Chandos from becoming the latest victim of Count Dracula's Suicide Club. Much to their regret, however, all three are about to learn that the patient Vampire King may suffer setbacks, but never gives up on anything he sets his mind on.